3 hours, $150 ($75 plus $75 Materials Fee = $150). Limited to 16 participants per section. What’s the Arduino? It’s a tiny, itty-bitty programmable computer, used worldwide by thousands of students, artists, designers, hackers and tinkerers to embed intelligence in objects, artworks and design prototypes. It can read information from sensors, and it can control actuators like motors. It can talk to nearly any other device or circuit. You can wear it, and even wash it. And it can also make sound! This workshop will go through the basics of programming the popular microcontroller board, Arduino. You will learn how to do a simple physical-computing equivalent to “hello world” — and you’ll learn how to make the board work with sensors, actuators and a computer. 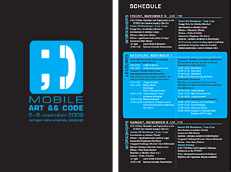 You will also be introduced to the wide possibilities of Arduino for mobile sound, wearability and locativity — through a series of demonstrations of more advanced applications using GPS, soft circuitry on textiles, sound, motors, wireless communication and more. No particular technical skills are required besides having used a computer before. Maybe you’ve been interested in learning how to use the Arduino for a while — but wanted a helpful leg up to get started! Bring your own laptop with a fairly recent OS (Mac OSX, Windows or Linux). We’ll supply a beginner’s Arduino kit , complete with everything you need to get started. Your materials fee covers the cost of the kit. Arduino : Arduino is an open-source electronics prototyping platform that can be used to create interactive objects or environments, both as stand-alone or connected to a host computer. It can receive input from a variety of sensors to sense the environment, and also control lights, motors, and other actuators that can affect its surroundings. Based on flexible, easy-to-use hardware and software, it is intended to be used by artists, designers, hobbyists, and anyone interested in interactivity. 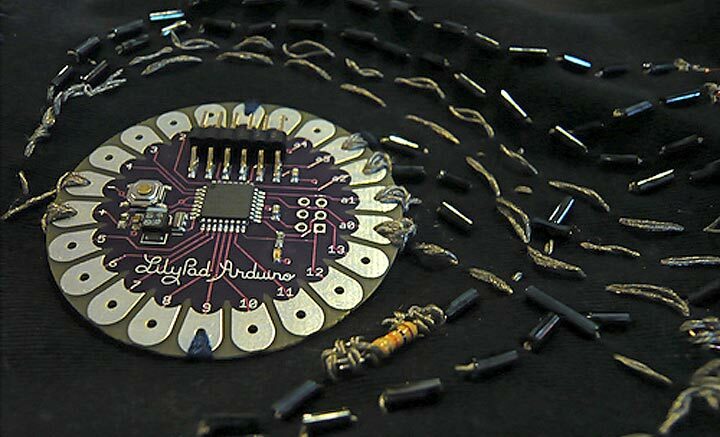 The Arduino board comes in several sizes and shapes, allowing its integration with all kinds of objects, environments or garments. A number of add-ons called shields are available to interface it with a variety of technologies such as GPS or Bluetooth and expend the possibilities of physical computing to the mobile realm.